A month ago, or so, my youngest daughter came across a basket of her baby things, items that were used in her nursery, that I had put away until I could decide what I would sentimentally keep and what I would discard. She asked if she could use the baby lamp in her room now. “Oh, pleeeeease.” I didn’t put up much resistance and said, “sure.” Over the course of the next couple of days, she moved that lamp to several locations in the room, until she found “just the perfect place.” During one of the moves, the lamp shade was bumped and her chin hit the hot light bulb. Please, don’t ask me if I was still okay with my “sure” instead of my usual, “no, leave it alone, it really isn’t necessary.” It burned, blistered, and hurt. I treated it, prayed over it, and loved-on her. She said, “I’m okay, I’m okay,” with watery eyes and a forced smiley-grimace. Actually, she’s one of my easy ones, when it comes to getting hurt. She’s calm, collected and trusting. 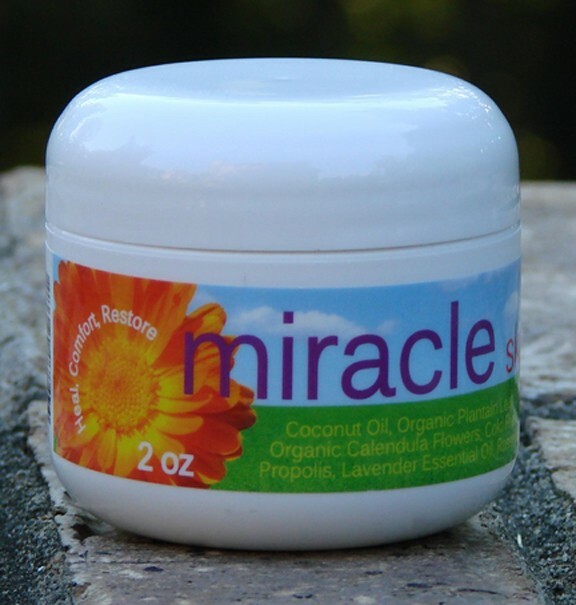 The next day I got Miracle Skin Salve, from Beeyoutiful, in the mail. I knew there was a product arriving any day, but I didn’t know when, and I didn’t know what. Not one to believe in coincidence, I was thrilled with the Divine intervention that had my little girl covered before I even knew she’d need it. • Cuts and abrasions (cover with a bandage if necessary!) • Stubborn splinters (to help them work their way out) • Insect bites and stings • Inflamed and swollen injuries or bruises • Painful hemorrhoids • Diaper rash and tender bottoms • Dry, chapped skin • Minor burns • Yeast-related rashes like eczema and psoriasis • Cold sores • Post-staph infection and skin surgery sites (to reduce scarring apply daily for 2 to 3 months). You’ll notice fast healing thanks to the miraculous blend of ingredients that moisturize and soothe while providing anti-bacterial, anti-viral, anti-fungal, and anti-inflammatory aid to skin irritations and injuries. These reliable, natural ingredients give Miracle Skin Salve its power: Coconut oil, extra virgin olive oil, beeswax, bee propolis, organic plantain leaf, organic comfrey root, organic calendula flowers, and essential oils of lavender and rosemary. So many natural, healthy ingredients in it that even though I wasn’t familiar with the product, yet, I was comfortable trying it. “Beeyoutiful skin products contain NO Parabens, Formaldehyde, Petroleum derived ingredients or SLS Detergents. They are all manufactured in the USA, using pure, all natural ingredients.” By this time, the area on her chin was weepy and raw looking. I gently dabbed the Miracle Skin Salve on her burn and it instantly soothed it. She wasn’t sure if it would sting, or not, and it didn’t. It has healed nicely and we continue to use it, to reduce any scarring to her face. I find comfort in knowing I have it in the house, in case of emergency, but also for the little things, like splinters and insect bites. It is $15 for 2 oz. or $25 for 4 oz., and I honestly think it’s worth it! It is effective and it goes a long way. My youngest grandson was born on Christmas Eve, just over a year ago. He is a bright, beautiful, allergic-reaction-waiting-to-happen! Yes, he’s allergic to nuts and peas and… He also has atopic dermatitis. It is a type of eczema, with skin inflammation, rash, and intense itching. Because he’s a baby, much of it is located on his face and head. My daughter has gone through several products in an attempt to manage it and keep him comfortable. Cetaphil Moisturing Lotion was the best she had found, but he would still have miserable outbreaks and the patches were never completely cleared. Nana (that’s me) to the rescue, with my latest discovery, the Miracle Skin Salve! I slathered his little face and ears with it, and within an hour or two all the redness and inflammation was gone. We could still see and feel a residual rash, but it worked so well, so quickly, that I gave my daughter a teaspoonful to use on a continual basis. It worked miraculously! It completely cleared his rash! She was so excited to see his baby-smooth skin, again. She bought the 4 oz. container, has used it generously, every other day, and it’s lasted about a month. Different things can cause an eczema outbreak, but the peace of mind we have, knowing she can now manage it, keeping him healthy and happy, is priceless. I also used the B.A.L.M. 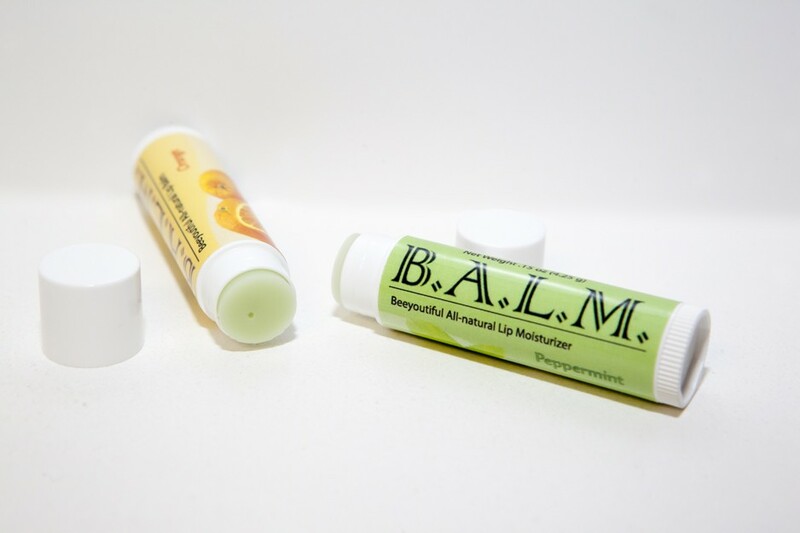 Beeyoutiful All-Natural Lip Moisturizer is a keeper! “Conventional lip moisturizers can be harsh and even damaging to fragile lip membranes with chemicals and fuel derived bases. Beeyoutiful’s all natural Lip Balms offer you a choice of a soothing, healing lip balm that you can be confident in the ingredients, knowing you are using the very best on your lips!” At $3 a tube we can each have our own and I don’t have to feel guilty for hiding mine! Please, follow the links I’ve provided throughout this post and take a few minutes to check out the various products available from Beeyoutiful. Their website is easy to navigate, and you can Shop by Product or Shop by Health Concern. If you want to investigate further, click on the graphic below to read other reviews by my crew mates. Sounds wonderful! Glad to know she is healing nicely. And, yes, it is always exceptional to know that we are taken care of Before we realize that will need to be! Thanks for sharing about this great sounding product, it is now on my must have list! Thank you for sharing this story. I just recommended this product to a very good friend who is suffering from eczema. I hope it helps her as it did your grandson.